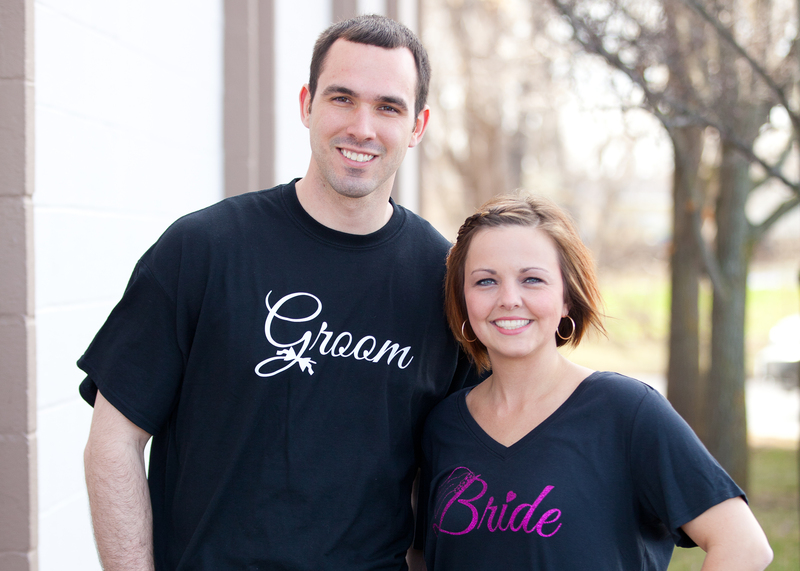 Fun shirts to celebrate your wedding day! Perfect for wedding showers, bachelor or bachelorette parties and rehearsal dinners. Your whole crew can roll into the event looking cute! There are lots of colors to choose from. 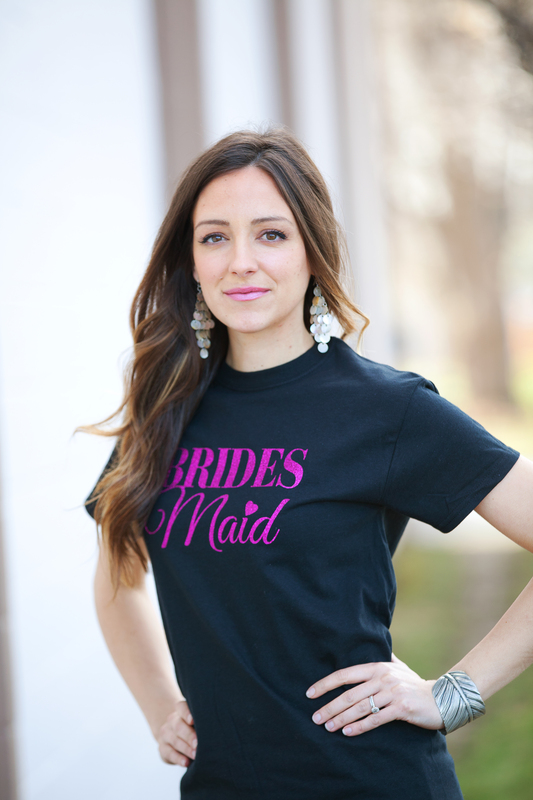 “Bride” and “Bridesmaid” are printed in sparkly glitter. You can choose your color glitter too! 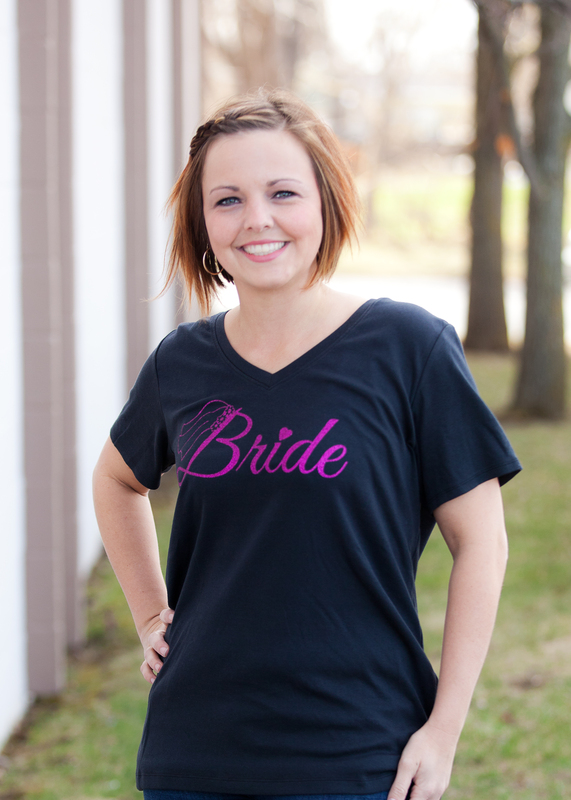 Women’s tees come in traditional style or v-neck. Men’s shirts are traditional pre-shrunk cotton tees. Sizes range from Small to 3XL. Thank you to our models, Eric, Sarah and Kathryn!